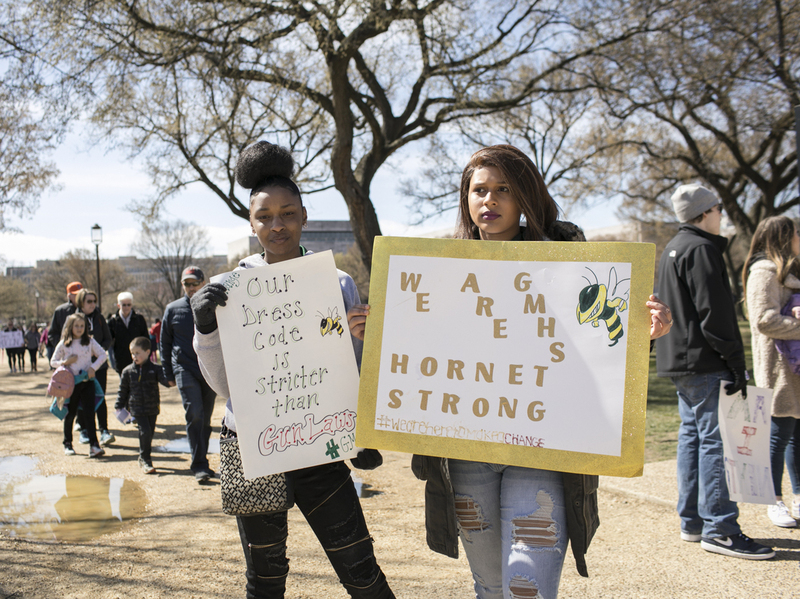 PHOTOS: At D.C.'s 'March For Our Lives,' Students Make Their Stand For many students, Saturday was their first demonstration for a cause. 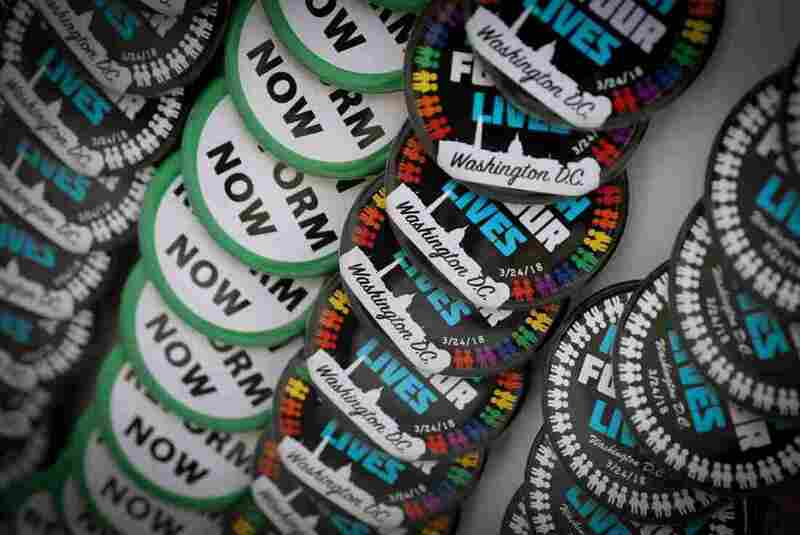 They bundled in the U.S. capital, delivering a defiant message: stricter gun regulation. NPR photographers captured the scene. 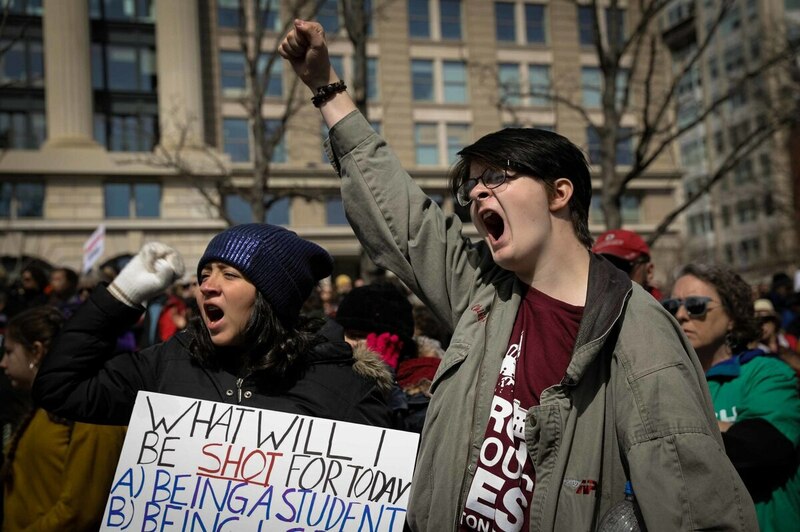 Ryan Battle (left) speaks at the Rally for DC Lives in Folger Park in Washington, D.C. Emily Pemberton (right) participates at the "March for Our Lives" protest. 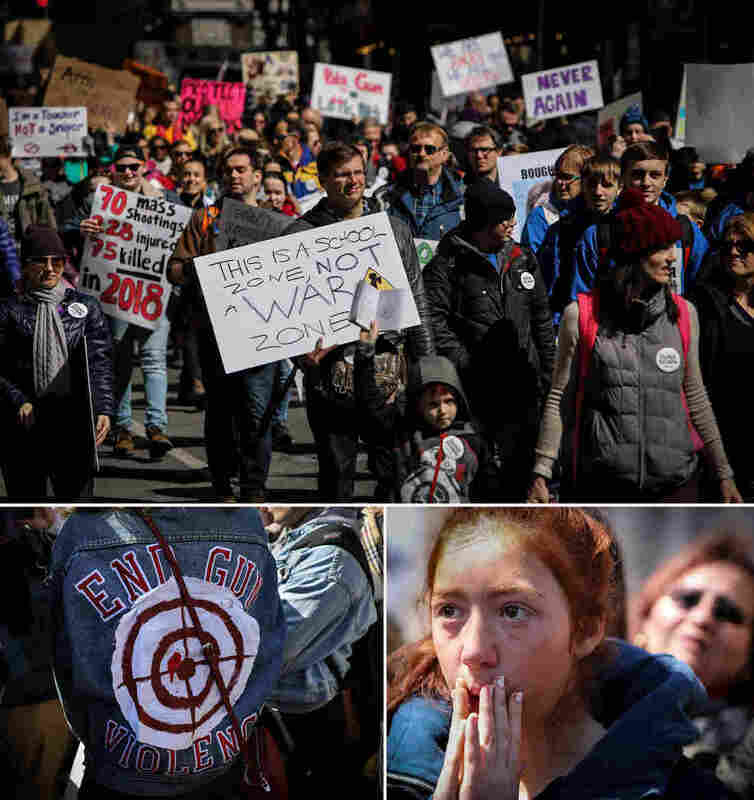 Hundreds of thousands of marchers rallied across the United States and around the world Saturday to demand action against gun violence. The "March for Our Lives" protest displayed the resilience behind a new wave of political activism, led by survivors of the Feb. 14 mass shooting at Marjory Stoneman Douglas High School in Parkland, Fla.
For many students, the rallies were their first demonstration for a cause and a social reckoning of what they are capable of. 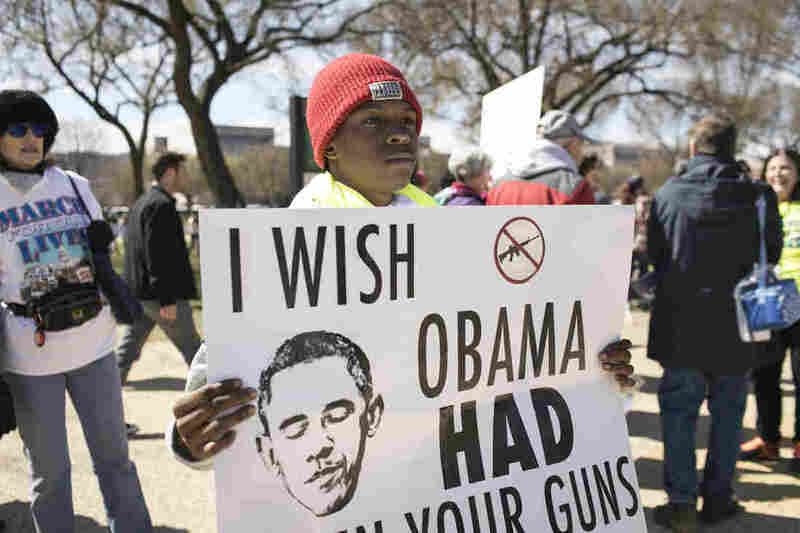 They bundled in the nation's capital, delivering a defiant message: stricter gun regulation. 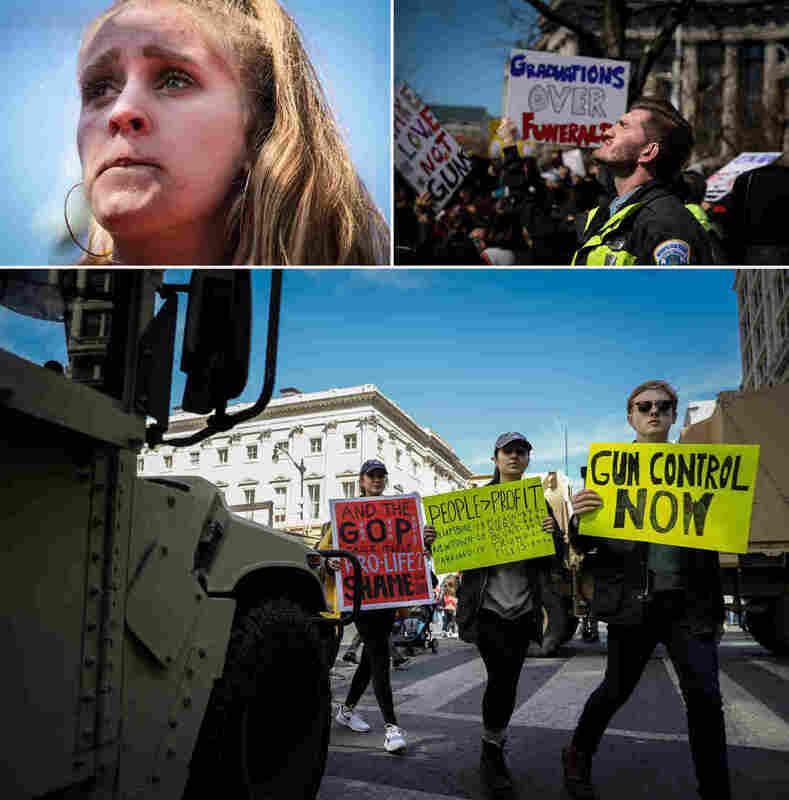 (Top) Students and anti-gun protesters rally in Washington, D.C. (Bottom left) "I was looking at photos from the Black Lives Matter movement and I saw a picture of a man with a bullseye on his chest--that really inspired me. We shouldn't see other people as targets," said Sophie Colson of her "End Gun Violence" jacket. (Bottom right) Ava Amirkhalili, 15, of Bethesda, Md., listened intently. Anasophia Gonzalez (left) and Eli Spicer, ages 15 and 14, rallied with hundreds of thousands of protesters. Vendors sell pins at the rally. 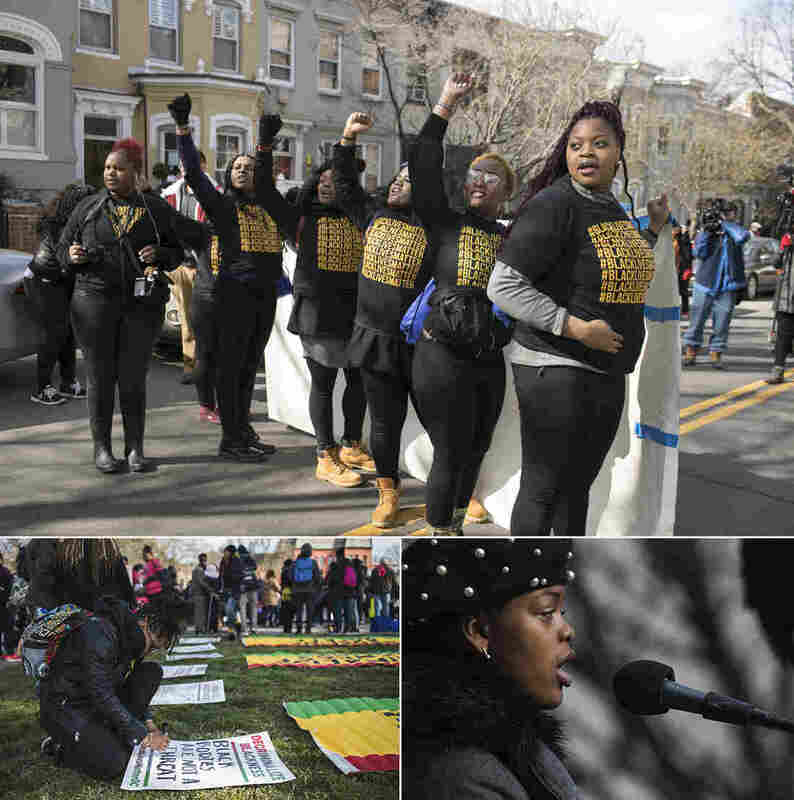 (Top) A group of young demonstrators heads from a Black Lives Matter DC gathering to the "March for Our Lives" in Southeast D.C. On their way, they chanted, "When black lives are under attack, what do we do? Stand up. Fight back." (Bottom right) Lauren Renford speaks at the Rally for DC Lives in Folger Park. Esther Obioha (left) and Amelia Tydings of Montgomery Blair High School in Silver Spring, Md., hugged as they joined hundreds of thousands of students. 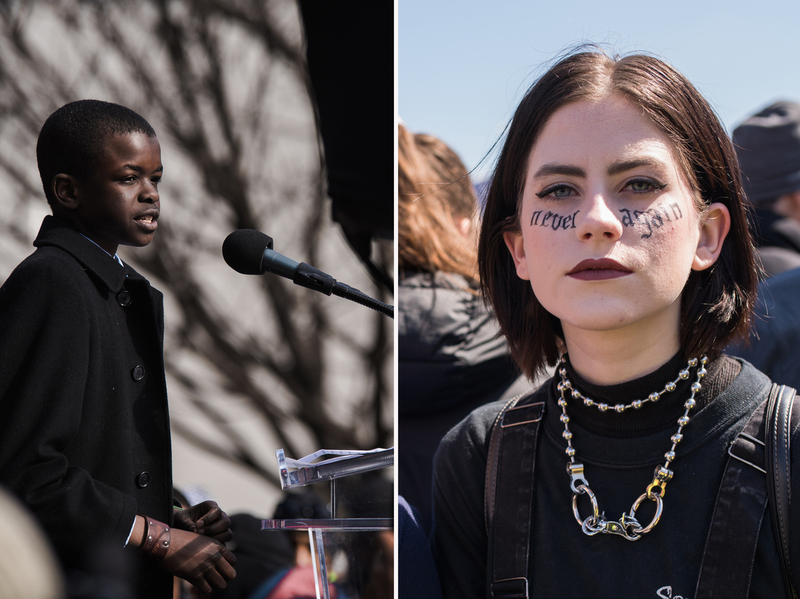 Carlton Johnson, 22, traveled from Pittsburgh with a church group to the "March for our Lives" rally in Washington, D.C.
(Top left) Alden Edwards, age 14, of Baltimore, Md., was moved to tears listening to speakers. 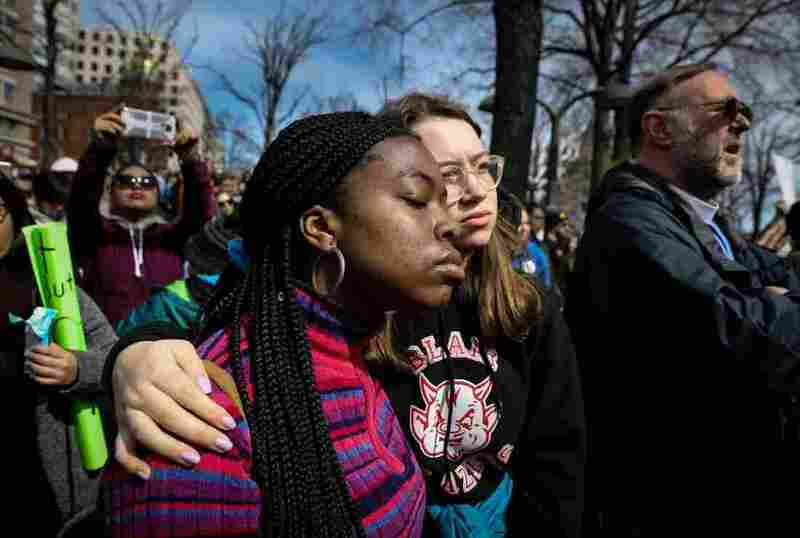 (Top right) A Washington, D.C., police officer closes his eyes against the sun as students and anti-gun protesters rally. Students make their way past a Humvee at the rally. Heavenly Keemer, 17, and Nijah Briscoe, 16, students at Great Mills High School in St. Mary's County, Md., which was the site of a school shooting Tuesday, traveled to Washington, D.C., for Saturday's "March for Our Lives" events.